I hope everyone had a good day even if you don't celebrate Valentines or is just simply solo. Whatever is your status hop to Lizzy's blog challenge. 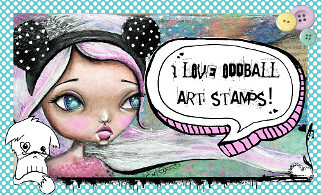 You can find the Oddball Art Stamps blog here. My DT project is this little Valentines card made for art swap and used my silhouette to cut it out. 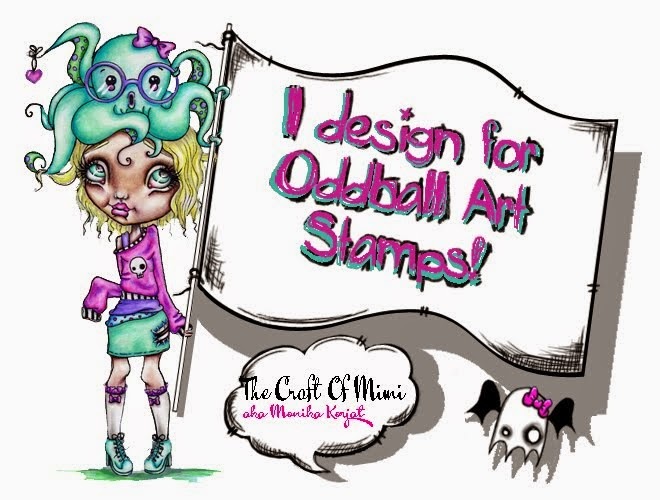 I hate fussy cutting and decided to transfer the digi stamp to the studio. Stay tuned for the reminded of the challenge blog post as I will be making a small tutorial of how to do it. I used image number #281 Bucky be mine and transferred it into the silhouette studio. Cut it out together with the fri fold card then used silhouette made stencil to cut the background stencil out. 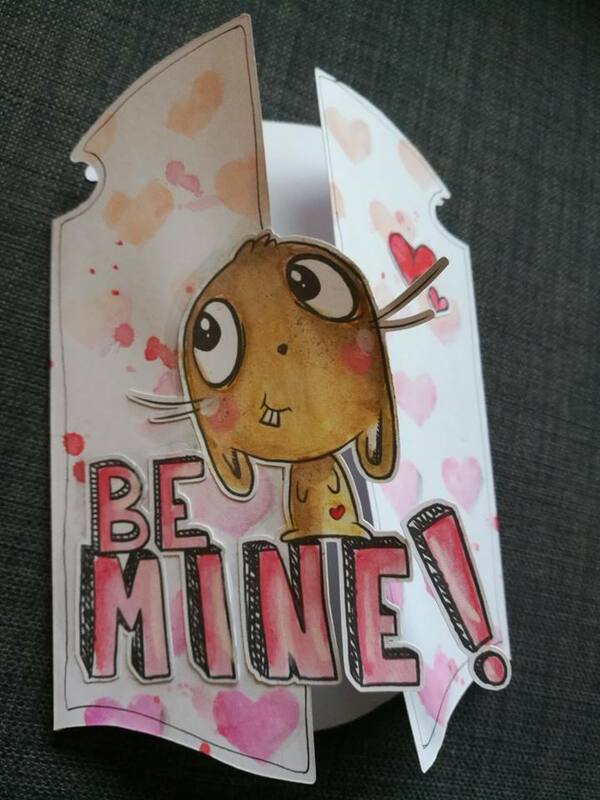 Using watercolours added the hearts and after colouring the Bunny with water colours adhered it to the page . At the end using grey watercolour added some shadowing. I hope you like this little and simple card. Thanks for looking at the post!